One of the important decisions that you will make together with your surgeon is what type of lens to implant during cataract surgery. Previously, the only option for patients undergoing cataract surgery was a traditional single-focus lens implant. Single focus lenses can reduce the need for eyeglasses for distance vision or near vision, but not both. Thanks to advances in lens technology, now there are advanced lenses that can provide a more continuous range of vision. Patients who choose advanced lenses can enjoy a wider range of clear focus at far, intermediate and near distances depending on the lens chosen. These lenses may reduce or eliminate your need for glasses. There are different types of advanced lens implants to meet individual needs. Your surgeon will discuss a customized treatment plan and help chose a lens implant to best serve your visual needs and lifestyle. The AcrySof® ReSTOR™ IOL is a multifocal lens that provides correction for both near and distance vision allowing for close and distant objects to be in focus. Compared to a basic implant, ReSTOR lens patients often find that they can read a book, work on the computer, drive a car and play golf or tennis with an increased freedom from glasses. Side effects of multifocal lens implants like ReSTOR include glare and halos around points of light and reduced contrast sensitivity which may affect night driving and reading in low light conditions. Please watch the video below to learn more. Crystalens is designed to allow you to enjoy a fuller, more natural range of vision for most distance and mid-range activities than achieved with a basic implant, including reading a watch, phone, working on the computer, and driving a car. This lens was modeled after the natural lens in the eye, using the eye muscle to flex and accommodate in order to focus on objects at different distances. Please watch the video below to learn more. Tecnis Symfony® extended depth of focus intraocular lens is designed to allow you to enjoy a fuller, more natural range of vision for most distance and mid-range activities than achieved with a basic implant, including reading a phone, working on the computer and driving a car. Possible side effects of extended range of focus lenses like Symfony include glare and halos around points of light and reduced contrast sensitivity which may affect night driving and reading in low light conditions. Astigmatism is caused by an irregular curvature of the cornea. The cornea is the clear round window in the front of the eye. Those with astigmatism have an optically oval rather than round cornea causing blurred vision at all distances. Astigmatism can be treated with glasses, contact lenses, LASIK, AK/LRI, or special toric (astigmatism) lens implants. Those that have cataracts and astigmatism may have their astigmatism treated at the same time as cataract surgery with either a toric lens implant or with corneal incisions (AK/LRI). 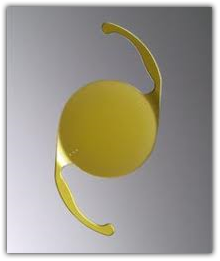 A toric intraocular lens is specifically designed to reduce a patient’s astigmatism following cataract surgery. 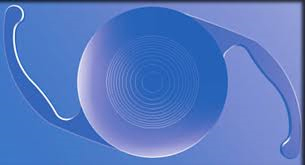 The toric implants can reduce astigmatism and can significantly improve distance vision. If you have astigmatism, your surgeon can explain how a toric lens could help your vision. The toric astigmatism lens is a monofocal lens that only reduces or eliminates glasses at either near or distance. Please watch the video below to learn more. AK/LRI is a procedure in which small relaxing incisions are made in the cornea allowing the cornea to become more rounded and “relax” the astigmatism. AK/LRI can reduce astigmatism and can significantly improve vision. AK/LRI only reduces or eliminates glasses at either near or distance. If you have astigmatism, your surgeon can explain how an AK/LRI could help your vision.